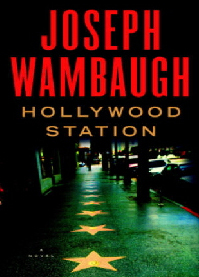 From Joseph Wambaugh, #1 best-selling author and the father of the modern police novel, comes a brilliant, panoramic tale of crime and corruption in Los Angeles. In the southermost Los Angeles district of San Pedro, one of the world's busiest harbors, an unlikely pair of lovers are unwittingly caught between the two warring sides of the law amid the investigation of a horrifying human-trafficking ring. When Dinko Babich, a young longshoreman, delivers Lita Medina, a young Mexican dancer, from the harbor to a Hollywood nightclub, their lives are forever changed as the two are caught in the crosshairs of the multitude of cops and criminals, the law-abiding and the lawless, who occupy the harbor. Dinko and Lita cross paths with many colorful characters originally introduced in Wambaugh's acclaimed and best-selling Hollywood Station series: the surfer cops known as Flotsam and Jetsam, aspiring actor "Hollywood Nate" Weiss, young Britney Small, along with new members of the midwatch. Humor, love, suspense, and tragedy are intertwined in the lives of the cops and residents of the Los Angeles Harbor, with the unflinching eye for detail that only a master of the form can provide. 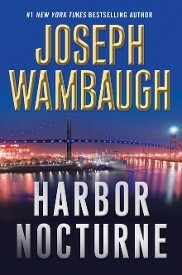 Harbor Nocturne shows a grandmaster at the top of his craft, a craft none have mastered like Joseph Wambaugh. 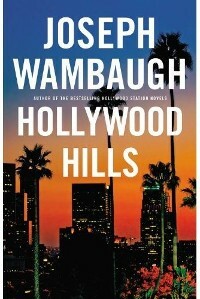 In Wambaugh's long-awaited return to the Los Angeles Police Department, he deploys his bone-deep understanding of cops' lives -- and his lethal sense of humor -- on a raucous ride through the streets of Hollywood, where no one is safe from the gritty city. Especially not the cops. 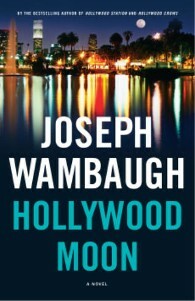 Wambaugh introduces many colorful characters in this series: The surfer cops, "Flotsam and Jetsam," aspiring actor, "Hollywood Nate" Weiss, and young Britney Small, intermingled with new members of the watch in each novel as they all gamely cope with the weirdness and wackiness of Hollywood. For a cop, a night on the job means killing time and trying not to get killed. If you’re a cop in Hollywood Division, it also means dealing with the most overwrought, desperate, and deluded criminals anywhere. When you’re patrolling Sunset and Hollywood Boulevards, neither a good reputation nor the lessons of scandals past will help you keep your cool, your sanity, or your life when things heat up. The robbery of a Hollywood jewelry store, complete with masks and a hand grenade, quickly connects to a Russian nightclub, an undercover operation gone bloodily wrong, and a cluelessly ambitious pair of tweakers. Putting the pieces together are the sergeant they call the Oracle and his squad of street cops. There’s Budgie Polk, a twenty-something firecracker with a four-month-old at home, and Wesley Drubb, a rich boy who joined the force seeking thrills. Fausto Gamboa is the tetchy veteran, and Hollywood Nate is the one who never shuts up about movies. They spend their days in patrol cars and their nights in the underbelly of a city that never sleeps. From their headquarters at Hollywood Station, they see the glamour city for what it is: a field of land mines, where the mundane is dangerous and the dangerous is mundane. SEDUCTION, BLACK MARKET BOOZE, BURGLARY, AND MURDER -- Not your ordinary fare for a division of peacekeeping officers, but Hollywood isn't your ordinary town. When LAPD cops Hollywood Nate and Bix Rumstead find themselves caught up with bombshell Margot Aziz, they think they're just having some fun. But in Hollywood, nothing is ever what it seems. To them, Margot is a harmless socialite, stuck in the middle of an ugly divorce from the nefarious nightclub-owner Ali Aziz. What Nate and Bix don't know is that Margot's no helpless victim: the femme fatale is setting them both up. But Ms. Aziz isn't the only one with a deadly plan. Nate works alongside a squad of L.A.'s finest, including a duo of suntanned surfer cops known as Flotsam and Jetsam, tenacious women officers Cat Song and Ronnie Sinclair, and the kindly veteran Bix Ramstead, who, Ronnie laments, may be the last monogamous male at Hollywood Station. As they'll discover, Hollywood always deceivews you, and love always come packing heat. 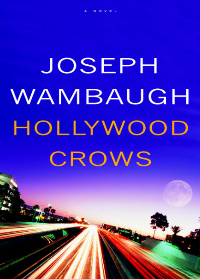 Wambaugh returns once again to the beat he knows best, taking readers on a tightly plotted and darkly funny ride-along through Los Angeles with a cast of flawed cops and eccentric lowlifes they won't soon forget. There's a saying at Hollywood station that the full moon brings out the beast--rather than the best--in the area's citizens. One moonlit night, LAPD veteran Dana Vaughn and "Hollywood" Nate Weiss, a struggling-actor-turned cop, get a call about a young man who's been attacking women. Meanwhile, two surfer cops known as Flotsam and Jetsam keep bumping into an odd, suspicious duo--a smooth-talking player in dreads and a crazy-eyed, tattooed biker. No one suspects that all three dubious characters might be involved in something bigger, more high-tech, and much more illegal. After a dizzying series of twists, turns, and chases, the cops will find they've stumbled upon a complex web of crime where even the criminals can't be sure who's conning whom. Wambaugh once again masterfully gets inside the hearts and minds of the cops whose jobs have them constantly on the brink of danger. By turns heart-wrenching, exhilarating, and laugh-out-loud funny, Hollywood Moon is his most thrilling and deeply affecting ride yet through the singular streets of LA. A circle of teenage burglars that the media has dubbed the "Bling Ring" has taken to pillaging the homes of Hollywood celebutantes like Paris Hilton and Lindsay Lohan, putting the rich and famous on high alert. Enter LAPD veteran "Hollywood Nate" Weiss, who would gladly trade the Hollywood Station beat for the Hollywood Walk of Fame, and has recently become friendly with B-list director Rudy Ressler. Nate agrees to take care of the opulent estate of Ressler's flirtatious fiancee, Leona Brueger, the still-foxy widow of a processed-meat tycoon, while they're away. Nate doesn't know that Nigel Wickland, Leona's art dealer with a natty wardrobe and posh accent, is devising a nefarious plan to steal two paintings hanging on the mansion's walls and make off with more money than he's ever seen. Add in the Bling Ring and a pair of drug-addicted young copycats who stumble upon Nigel's heist, and soon Hollywood Nate, surfer cops Flotsam and Jetsam, and the rest of the team at Hollywood Station have a deadly situation on their hands. 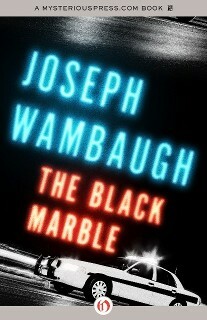 MysteriousPress.com has published nine of Joseph Wambaugh's books—The Black Marble, The Glitter Dome, The Blooding, The Delta Star, Finnegan's Week, Floaters, Fugitive Nights, The Golden Orange, and Lines and Shadows—in eBook formats. The books are available for sale through Amazon, Barnes & Noble, iBooks, Kobo, and Sony. 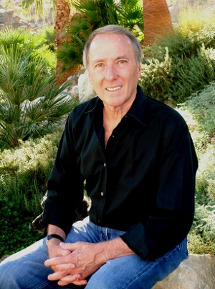 You can also visit Joseph Wambaugh's author page at MysteriousPress.com to find an exclusive video profile.